It makes no difference whether the patient is small or large, whether the patient’s mouth is healthy or not, whether the teeth are stable or loose, whether one tooth wobbles or a number of teeth are missing – we have just the right dental treatment waiting for you here. You can take advantage of the wide variety of possible treatments we offer in our practice. We adjust our services flexibly to your requirements, according to your own wishes and your diagnosis. 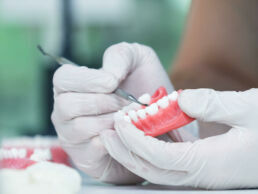 The services we offer extend from classic fillings and professional teeth cleaning across a wide selection of dental prosthesis through to complex treatments, such as laser therapy or root canal treatment. 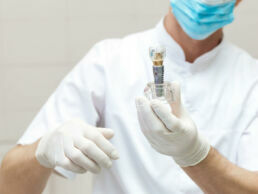 In addition to our medical services, you can also benefit from aesthetic corrections. 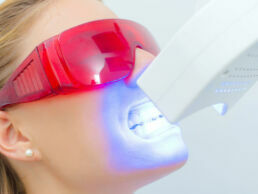 These include, for example, tooth bleaching, invisible tooth corrections or orthodontic treatments. If you have any questions about our therapies, please visit the following pages, contact us or arrange an appointment for a personal consultation!